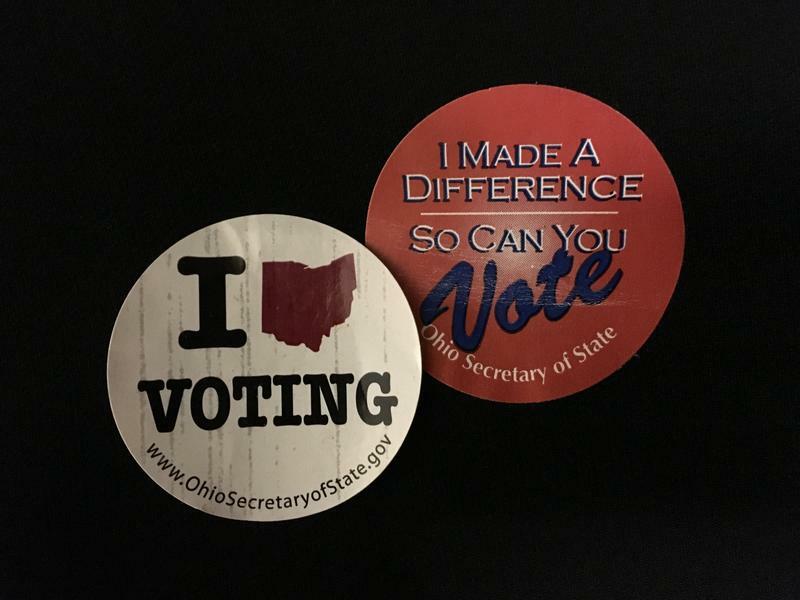 Hamilton County Board of Elections Director Sherry Poland says absentee and in-person voting numbers are up when compared to the last two midterm elections. She is predicting 50-55 percent turnout. For Campbell County Clerk of Courts Jim Luersen it's 40 percent. He looks back to the last comparable election where the turnout was 45 percent. But there was a U.S. Senate race that year. Luersen says he is trying to be optimistic about this year's turnout even though some of his fellow clerks think he's "crazy." On Friday WVXU talked to voters in Over-the-Rhine. Judy Mills says she is leaning Democratic but may change her mind come election day. "I've listened to the candidates and we still have a few more days. They're still talking and they're being interviewed." Mike Amend from Hamilton says he's not very happy with the system as it is and typically votes independent. This time he's looking to vote down the party line because, "I would like to take a little bit of power back for civilians like myself." He says one of the most important issues for him is the environment. Carl and Marla Schilling are from Pensacola, Fla. They voted early and are in Cincinnati visiting their son who plays in the Cincinnati Symphony Orchestra. "I don't understand why people are thinking the way they are," Carl says. "I don't know why they think that socialism is a good deal. It's been proven that it does not work. But to me a lot of the young people think it's a good deal. They want everything free." Mika Rosa is in his 20s and plans to vote early. He wishes his age group would cast a ballot. "I have typically voted every time but understanding these midterm elections are incredibly important and our generation doesn't typically know that." For Mike Kroeger it's all about "wanting to be heard and getting his voice out there." It really doesn't matter where you live in southwest Ohio or northern Kentucky or in southeastern Indiana. If you are a registered voter, you have plenty of reasons to go out to vote. On Tuesday, Nov. 6, voters in Ohio, Kentucky and Indiana head to the polls to vote on a host of issues and candidates to represent their states. Here's everything you need to know before heading to the polls. Recent polls have shown the race for Ohio governor is very close. And that means the results could come down to provisional ballots – those cast by people who didn’t have proper ID, for instance – and to absentee ballots that hadn’t arrived at boards of elections by Tuesday. And that means Tuesday night’s total might not be the final outcome.